We easily forget that the availability of information and technology that we enjoy today is a very recent phenomenon. Up until not so long ago, the information that we received from news outlets or educational sources was thoroughly filtered to meet the needs of those in power. Information is power, and if you want to control the people you must only let them know what you want them to know, or not let them know anything at all for that matter. An uneducated population is an easily controllable group. This has always been the strategy of regimes and religions throughout history. A few months ago, I read somewhere (I just can’t remember where, excuse the absence of a proper bibliographical reference) that if you took a person who died in the 10th century and woke them up in the 15th century, they probably wouldn't notice much change in their surroundings. But, in comparison, if you took someone who died in the 15th century and woke them up in the 21st century they'd probably think that they woke up in a different planet. That prompted me to think how far back in recent time could I go for someone who died back then and was woken up today to feel that they didn't recognize the world around them. And it immediately occurred to me that, in recent times, the farthest back that I could go would be just before the mobile and the internet revolution. Someone who died in 1990 and woke up today would feel like they were in a sci-fi movie. The internet has become the nightmare of those in power who want to be able to control the people as they wish. There is so much information out there that almost no one has an excuse today for not knowing what is going on in the rest of the world. That is why the need to control its access or to produce information chaos is imperative for those who want to remain in power: Kim Jon Un in North Korea, Xi Jinping in China, Vladimir Putin in Russia, UKIP with Brexit in the UK, Yoweri Museveni in Uganda or Donald Trump in the United States, to name a few examples. In this day and age, the most powerful tool that we have is knowledge and our most powerful weapon is our voice. The more we know about our communities, about our heritage, about local and international news, and about our history, the more we can avoid repeating the mistakes that our societies made to help put these people in power. And the more we use our voice, by expressing our opinions, by calling out those who attempt against human rights, or by voting, the more we contribute to make this a better world. The times we are living require a less passive approach to solving the issues in the world today. Over the last 5 years, I have continuously asked myself how can I contribute to make this a better world? Not only as a person but as a business as well. I strongly believe that it is incoherent to be longing for a better world in our personal lives but then going to work and supporting the opposite of what we believe in. 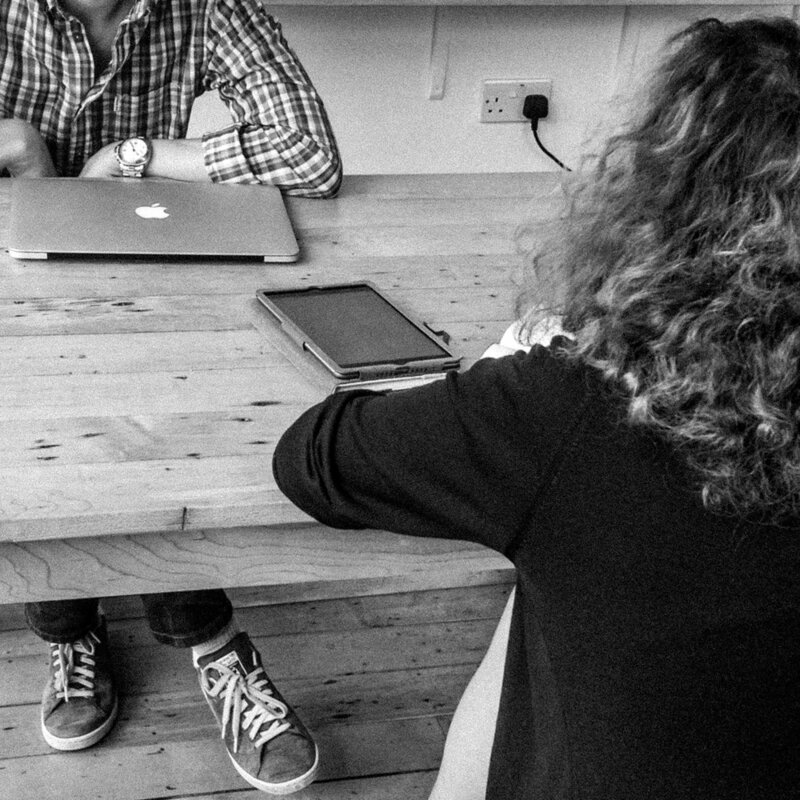 Our businesses, especially for freelancers, are an extension of ourselves and therefore should follow our personal ethos. That is one of the reasons that my blog is so important for me because apart from sharing everything that I learn in my journey as a creative business owner, I also try to call attention to the issues that matter the most to me. Running a business that doesn’t contribute to making this world better doesn’t make sense anymore. It should be as mandatory as paying taxes. Photo credits: image by Facundo Bustamante. A few weeks ago I went to an event from a well-known organisation in the fashion industry. As I was walking into the auditorium where the event was taking place, the people before me in the queue started saying really loudly that they wouldn't seat anywhere else than on the first row because they must have had reserved seats for sure. I immediately thought to myself "how pretentious" and went to sit in the last row of the venue, as far away from them as possible. While observing their behaviour from the un-cool people's row, I couldn't help but wonder if they knew what being pretentious meant? Certainly, if they did, they wouldn't be behaving like that in the first place. Being pretentious means to attempt to impress others by trying to show that one is more important or has more merit than one actually has. Basically, pretending to be something that you are not. So, if we all knew the meaning of the word, and we all knew that others know that when we are behaving like that it is because we are just trying really hard to look like something that we are not, then nobody would be pretentious. Still, it is one of those behaviours that one witnesses regularly, not only in this industry but in society in general. Frankly, it looks exhausting. Living a life trying to always impress others so that you can feel good about yourself must take a lot of energy. An energy that could be used for being productive or to do some good, something that is really needed these days. Photo credit: behind the scenes by Fabiola Bastianelli. Over the last four years, I have been shooting non-stop in order to learn the technicalities of my craft, to train my eye and my creativity, to create work for clients or for my personal projects, and to update my portfolio. All along, without even realizing it, everything that I was doing was bringing me to this past weekend when, for the first time in my photography career, I showed my portfolio to some of the major publications in the UK during PhotoMeet. It was intimidating, it felt like an emotional rollercoaster, but it was one of the most rewarding things that I have done since becoming a photographer. Having your work reviewed is no easy feat. It doesn't matter if you are showing it to family, friends, peers or potential clients. You feel vulnerable, exposed, judged, and your self-confidence and the confidence in your own work is put to the test. Imagine what it felt like when I attended PhotoMeet and walked into a room full of reviewers knowing that, for the following two days, eight of them would get to give me their feedback. It was like speed-dating for photographers. I felt like I was having eight job interviews one after the other with almost no time to breath and decompress. But I survived, and I owe it to how well I prepared for that weekend, not only mentally, but also by seeking advice and doing a lot of research. I made sure my portfolios were ready to be shown. You should always show the very best of your work, even if that means that you are only able to show 10 images. Everyone I asked and everywhere I researched suggested in between 25 to 30 images but, if you don't have that many, only show the very best of what you have. Also, most of the times we are our worst critics, and we tend to select images that we are attached to rather than the very best ones. If you can afford it, hire a photography consultant to do the selection for you. If you can't, ask peers, friends or even relatives to help you select them. I prepared different portfolios tailored for different types of publications. If you are a food and travel photographer but you also shoot fitness, you don't want to show your fitness work to a travel industry publication. You should have two separate portfolios for this. In my case, I prepared three: one for fashion, one for portraiture and one for my personal projects, which fall more on the documentary side. 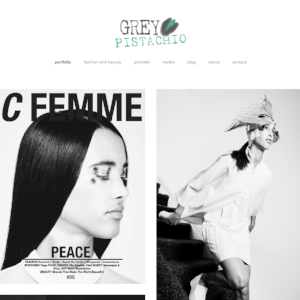 I updated my website, my social media and my print portfolio. 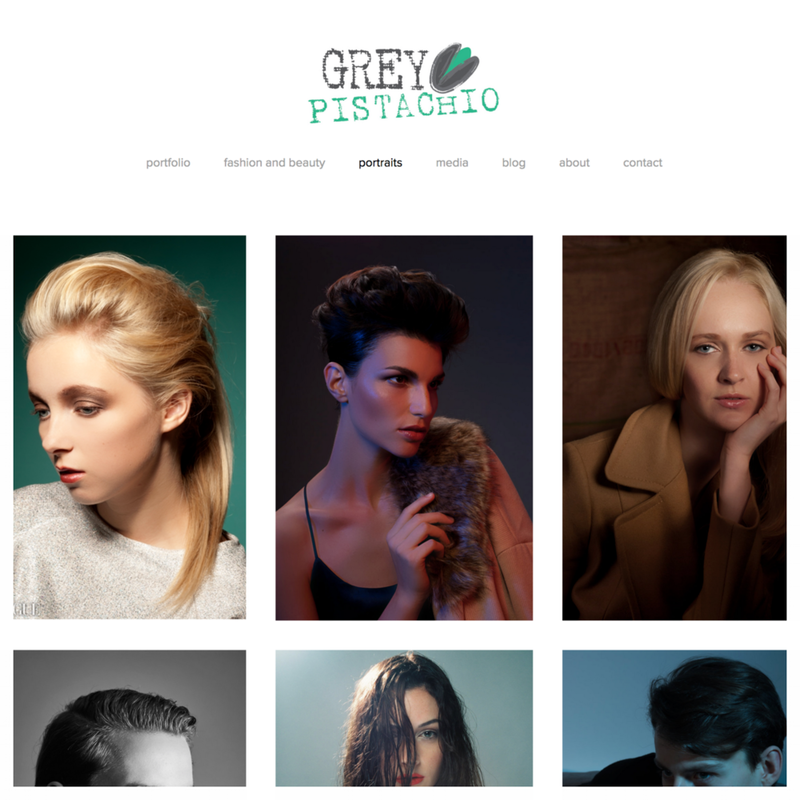 Once you have the selection of the very best of your images, update all your communication channels. You want to show a coherent image of your brand. I updated my promo material. After updating my portfolio and my communication channels, I printed new promos using the new images that I was going to show the reviewers. After each review, you want to leave something behind so they can remember you and hopefully visit your website and/or social media when they are back in the office. I researched each and every one of the reviewers that I was going to see. Find out what their role is, what they look like so that you don't confuse them with someone else, what sort of photography they like (usually looking at the latest issues of their publication is enough) and what was published in their latest issue (good conversation starter and shows that you did your research). I prepared a set of questions to ask them. Reviews are short, and in events like this one, they tend to last 20 minutes maximum. So you have to use this time wisely. Let them do the talk and ask you questions, but also have a clear goal of what you want to get out of the review so that they can give you good advice. In my case, I wanted to know if my portfolio was ready to be commissioned for editorial work (both in fashion and in portraiture) and what type of photography were their respective publications looking for. I arrived on time. This seems like a no-brainer, but you'd be surprised. I was courteous and friendly. Always be polite, hopefully not only with them but with everyone you meet. I respected the time allocated for my review. Time flies and twenty minutes can feel like ten seconds. When your time is up, leave. It's disrespectful to them to take more time than they have given you, but also to the person coming after you because you are stealing minutes from their allocated time. I established what I wanted from the review from the beginning. The reviewer needs to know what is it that you want to get out of the review so that they can give you productive feedback. Have a clear goal and a clear vision of where you want to be as a photographer. I let them do the talking. Let the photos speak for themselves and wait for the reviewer to ask you questions before you speak. Reviewers love photography, you should let them enjoy that. I was openminded when I heard the feedback. You may or may not like the feedback that you are getting, but you should keep an open mind and accept the feedback gratefully. They are the experts on their publications and the type of photography that they are looking for, and you are there to grow as a photographer and to learn what you have to do to be hired by them. Some of the feedback might be contradictory, but that is only because everyone looks for something different and what works for one publication doesn't work for another. Don't react negatively if you don't like what you hear. If you want to make it as a photographer, you have to grow a thicker skin and be ready to take negative feedback and rejection. It's part of being a creative. I took notes. Write down everything that they tell you. Even if it sounds silly or redundant. When you get home, leave the notebook aside for a day or two and then go back to it and read it calmly. Take the advice that you consider objective and that you think it's helpful. In the end, you decide what to do with the information that you are given. I was thankful when the review finished. When your time is up, thank them for their time and for all the feedback. And don't forget to leave a promo or a business card behind. I sent every reviewer a thank you note. Use the communication channel that they have told you works best for them. I put into practice everything that they advised me to do. This is the least you can do to make the experience worthwhile. Will I do it again? Absolutely! The feedback that I got was priceless, even though next time I will make sure to choose less and more targeted reviewers. Overall, it was an intense experience and one of the hardest things that I've done. But, like they say, comfort is the enemy of progress, and if I want to achieve the goals that I have set for myself I must strive to live outside of my comfort zone. I don't like to haggle. I never have. If I see a product or service for a price that I can't afford, I just don't buy it. To give you an idea of my way of thinking: I once went to the Grand Bazaar in Istambul and I didn't buy anything because all of the vendors expected me to haggle! I guess that I find it disrespectful to ask for a discount. That's why I can't believe how often I am asked to give one myself. I don't entirely blame the consumer. It's just this discount culture that we live in. What started with an occasional discount, or the desirable 2x1, or the unmissable end of season sale, has evolved into a constant price cut that almost makes Black Friday last from January 1st to New Year's Eve. We are so used to having prices lowered and to having special sales that we hardly buy at regular prices anymore. So, in order for retailers to be able to sell during the non-sale seasons, they have created a constant sales calendar that has gone out of control. Don't get me wrong, if I find a bargain I take advantage of it. But I don't expect everything that I pay for to be discounted. Something is not right when you see discounted prices at a store all year long. And as a business, if your prices are discounted all the time, then the discounted price is the new regular price. If we continue like this, there will come a day when stores will have to give customers their products for free because otherwise, nobody will buy them. As photographers, I don't think that's the type of business that we want to be, nor the type of clients that we are after. And as a client, I like to think that you hire us because you like our photography, or because you like our passion and enjoy working with us, or because our style matches your brief and we are the best for the job that you are quoting. But, not because we are cheap. I don't think that would do any good for your project, for the industry or for our respective brands. I don't know any photographer yet who prides themselves on being the cheapest. Photo credit: behind the scenes by Ferran Vergés. Thanks to everyone who came down to Photo Scratch last Monday! I had an amazing time, it was a brilliant opportunity to see familiar faces but also to get to know some really interesting people and, more importantly, to have the chance to appreciate great photography work. On top of that, the feedback that I received from the lovely people who stopped by my corner was invaluable. I am very grateful to Hanna-Katrina Jedrosz and Phil Le Gal for letting me be part of this event and, above all, thankful to everyone who shared their opinion in regards to my project with me. Enjoy the photos of the night! Photo Scratch is an event designed for photographers working on documentary projects to help them understand how their work is perceived and gain valuable insight into how to take their work further with the benefit of other people’s outside eye. 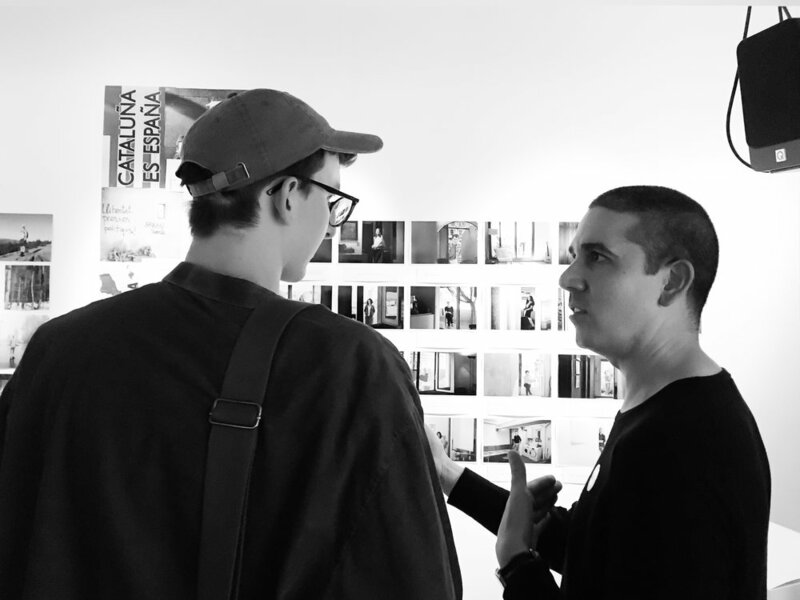 The ethos of the night is a peer-review approach and it is a chance for photographers at many different stages of their careers to meet, discuss and have open dialogues about their practice in a supportive environment, in order to make meaningful connections, and stronger work. Founders Hanna-Katrina and Phil host this night where spectators have the opportunity to preview projects, offer feedback, and engage in conversations about photography. The format of the night involves a group of six to eight photographers previewing a project in an incomplete state. The audience comprised of other photographers and people within the industry are then welcome to discuss the work and leave written feedback for each project. This valuable written feedback is then kept by each photographer for future reference. On the 14th of May, 2018, I will be taking part in Photo Scratch, an event designed for photographers working on documentary projects to help them understand how their work is perceived and gain valuable insight into how to take their work further with the benefit of other people’s outside eye. The event will take place at Hotel Elephant (Spare Street, London SE17 3EP) in Elephant and Castle. It's free, but you must book your tickets in advance to guarantee entry. Founders Hanna-Katrina Jedrosz and Phil Le Gal host this night where spectators have the opportunity to preview projects, offer feedback, and engage in conversations about photography. The format of the night involves a group of six to eight photographers previewing a project in an incomplete state. The audience comprised of other photographers and people within the industry are then welcome to discuss the work and leave written feedback for each project. This valuable written feedback is then kept by each photographer for future reference. The ethos of the night is a peer-review approach and it is a chance for photographers at many different stages of their careers to meet, discuss and have open dialogues about their practice in a supportive environment, in order to make meaningful connections, and stronger work. I will be presenting all the portraits that I have taken thus far of my personal project on the Catalan conflict "Catalonia: A Work In Progress". I hope to see you there! 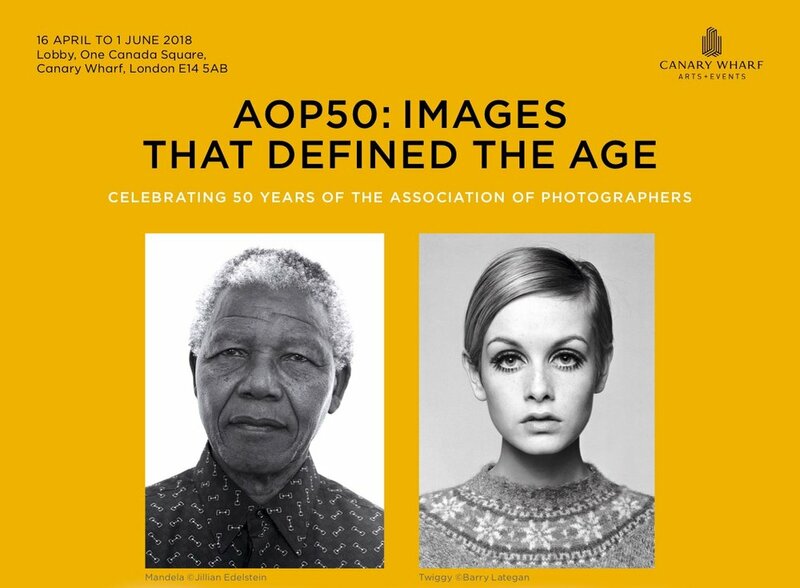 From the 16th of April to the 1st of June, the AOP (Association of Photographers) will be celebrating its 50 year anniversary with an exhibition called "AOP50: Images That Defined The Age" at the lobby of One Canada Square (Canary Wharf, London E14 5AB). Alongside these memorable 50 images, a digital exhibition of work by current AOP Accredited Photographers will be shown on a screen, including the image "The Anglomaniac" from my Brexiters project. AOP50 is a retrospective which includes images by some of the world’s most well-known and respected photographers from the past 50 years. Curated by Zelda Cheatle, the collection of images celebrates 50 years of the AOP with photographs that illustrate the impact, diversity and quality of work by AOP members since 1968. As the AOP's Executive Director, Seamus McGibbon, explains, "many of the images have defined a generation, and helped to shape public opinion and to create change." Last night during the opening reception, while I looked around at the fantastic work on display I couldn't help but feel proud of belonging to a group of professionals that sets the bar really high and makes me want to improve myself every day. Come celebrate this important milestone of the AOP with this free public exhibition, open daily from 7 am to 8 pm. Photo of me by Andrezj Gruszka. From the 18th to the 28th of April, my portraiture project on the Catalan conflict "Catalonia: A Work In Progress" will be part of the collective exhibition Salon 18, organized by the London Creative Network (LCN) at Four Corners Gallery (121 Roman Road, London E2 0QN). 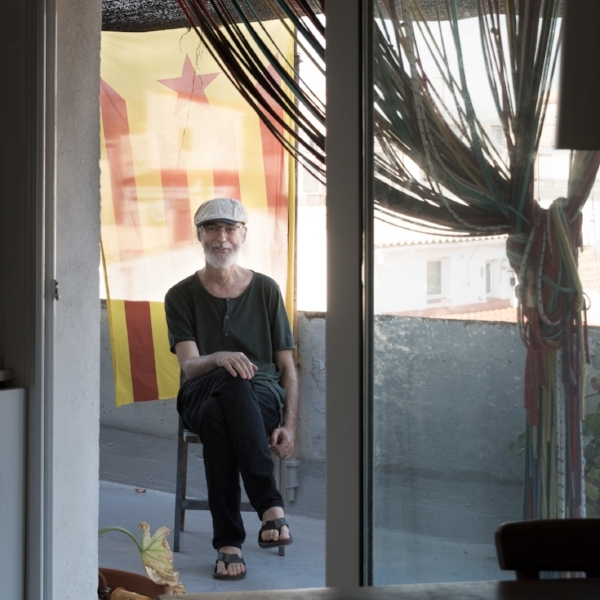 “Catalonia: A Work In Progress” is a personal project where I explore the spectrum of opinions that people living in Catalonia have in regards to the Independence from Spain. At first sight, it might seem like there are only two possible positions: in favour of the independence of Catalonia or in favour of the permanency in Spain. But the reality is more complex than that; there is a diverse set of opinions from the people caught in the middle. Some people definitely want out, while others feel very much part of Spain. But, not everyone who wants to leave wants an Independence per se and would opt for just more autonomy for the region. Meanwhile, not everyone who wants to remain in Spain feels Spanish or agrees with the policies of the Spanish government. Whatever the outcome of the Catalan conflict is, the government of Catalonia or the government of Spain will have to guarantee that all the people living in Catalonia can live in harmony disregarding their political views. This is a conflict that has been going on for centuries, but the rest of the world found out about it after the events of October 1st, 2017, when the pro-Independence parties staged a referendum that the Spanish government considered illegal. Over the last month and a half, I have been attending a set of creative writing workshops organized by the guys at the Centre for Solo Performance in order to improve my writing and develop my storytelling skills. As a photographer and a visual artist, storytelling is at the forefront of my craft and these workshops are not only helping me with my image-led narratives, but they are also helping me to write a better blog. Joan Miró said in I Work Like a Gardener: "An artwork must be fertile. It must give birth to a world." Hopefully, from now on, I will be creating more interesting worlds. This is the first time in my life that I take part in creative writing workshops, but it will definitely not be the last. I guess that I just didn't see any use for them in my previous industry, or I didn't fully understand how they could have an effect in my life. Learning how to structure stories or how to move past the blank page syndrome comes very handy whether you are a writer, an artist or someone just putting together a speech. Besides, being surrounded by creative people from various disciplines and every walk of life is inspiring on its own. We all approach the exercises so differently that is very helpful to see the same topics from other people's perspectives. In my group, there are actors, visual artists, improv performers, physical performers, dancers, writers, teachers, preachers, playwriters, scriptwriters, poets and TEDtalk speakers. You can really feel when the creative juices flow! I would definitely recommend these sort of workshops to anyone who's interested in improving their storytelling. It doesn't matter if you don't work in the creative industries, these skills are transferable to other types of jobs too. If you write proposals, letters, copy, if you talk in public or give speeches at work, or if you manage contents on social media for a brand, you are a storyteller in your own way. Like they say, a good artisan never blames their tools, but they know that a good set of tools will make them better at their craft. Photo credit: behind the scenes with Fabiola Bastianelli by Andrzej Gruszka. This past weekend, as I was preparing all the paperwork for a submission, I had to make an inventory of every single photo, client, publication, competition and exhibition of my photography career. Thankfully, I have only been shooting professionally for a little under 4 years, otherwise, this would have been an impossible endeavour. Even so, for such a short career, it took me 3 whole days of non-stop sorting and documenting to be able to put all the work that I've done into one single folder. But I'm really happy that I had to do it because it was a cathartic experience and it made me realize how far I've come since I started this new phase in my life. And you want to know something? I haven't done too bad! It's funny how sometimes we are unable to realize how much we have accomplished because we are caught up in our daily routine of running our businesses. But it takes opportunities like these when you sit down and look back at where you were when you started and where you are right now, to really make you see your path from a different perspective. Give it a try and let me know how it goes. Create a visual inventory of every single image/set/project that you have shot. I used Powerpoint, but you can use any software that you are comfortable with. For every single image/set/project, create a separate page and write below the single image/set/project it's client, the date, the brief in one line, any publication that took it, any competition where it was highly commended, shortlisted or chosen as a finalist or winner, or every place where they were exhibited. I promise you that by the end you will start looking at your career with new eyes. I shared the whole experience with a colleague and we both agreed that no successful career happens overnight. It's a slow process of learning, erring and growing and we should enjoy every step of the way and try not to rush things. Because, in the end, the light that shines twice as bright, lasts half as long. When Rihanna created Fenty Beauty, she proved that there was a demand for more products for darker complexion people in the beauty industry. Fenty Beauty is an inclusive makeup brand aimed at every skin tone from the lightest to the darkest, with the darker shades being especially popular. Her brand might not have been the first one focusing on the lack of diversity in the industry, but she offered a range of shades and undertones that was practically unheard of at the time. And then, a few weeks ago, this same brand that is making their target embrace their uniqueness and feel proud of their genetics, advertises one of their lipsticks on their social media using a flawless computer-generated model called Shudu Gram. Is this a publicity stunt or just proof that we can't trust anyone anymore? Don't get me wrong, Shudu Gram is stunning. She is a work of art and I personally think that her creator, photographer Cameron-James Wilson, is an amazing 3D artist. My concern doesn't come from the art itself or the possibilities of the medium; nor with the fear that some other people in the industry have that machines will take over our jobs (models, photographers, makeup artists, hair stylists, stylists, etc.). What worries me is the message that the brand is sending to everyone who consumes their products, that no matter how much money you spend on them, you will never look as perfect as a CGI model. In all honesty, it's insulting. In times when companies like CVS are forcing makeup brands to stop selling their products with deceiving advertisement campaigns that have been photoshopped to the extreme, or when social media platforms are making the so-called influencers admit that they are just outsourced sales reps selling products for the brands that they represent, a brand cannot make the mistake of calling themselves diverse and inclusive while promoting an unattainable beauty standard. It is really disappointing and it makes me wonder if this is a publicity stunt aimed at creating controversy. Be it as it may, brands should be really careful about how they communicate with their customers. For, in the end, real people buy their products. CGI models don't. Photo credit: behind the scenes with Anna Sawyer by Rachel Williamson.